Just like the famous Sunday brunch beverage, Mimosa will leave you feeling refreshed, relaxed, and engaged. This cross is between Clementine and Purple Punch 2.0. with sweet citrus aromas matched with a fruit punch-like taste, leaving you with an excellent mid-level buzz. Just like the drink Mimosa, if your enjoyment gets to the best of you, the trajectory of your day may need a little altering. Light green flowers covered in layers of frosty trichomes and it smells a lot like it tastes. Hints of pine and hops dominated by creamy overtones. When smoked or vaped White Cookies has a smooth creamy taste with hints of a piney hops flavor. Expect a quick onset of a euphoric, cerebral, and upbeat feeling. Great for thinking deep thoughts, creating great works of art and building things! Grease Monkey, Gorilla Glue#4 x Cookies and Cream, is a heavy Indica fueled body buzz. Two hybrid strains, that allow their Indica genetics to alleviate those aches and pains. Also, a night time favorite with a heavier dose. Gorilla Glue#4 with Cookies and Cream, creates a sweet earthy flavor with a pungent overtone. This strains effects will stay with you, like a great mechanic. What do you get when you crossing a Heavy Sativa Dominate strain like, Lemon OG Haze “Lime Pheno”, with an Indica dominate strain like, Starkiller OG? 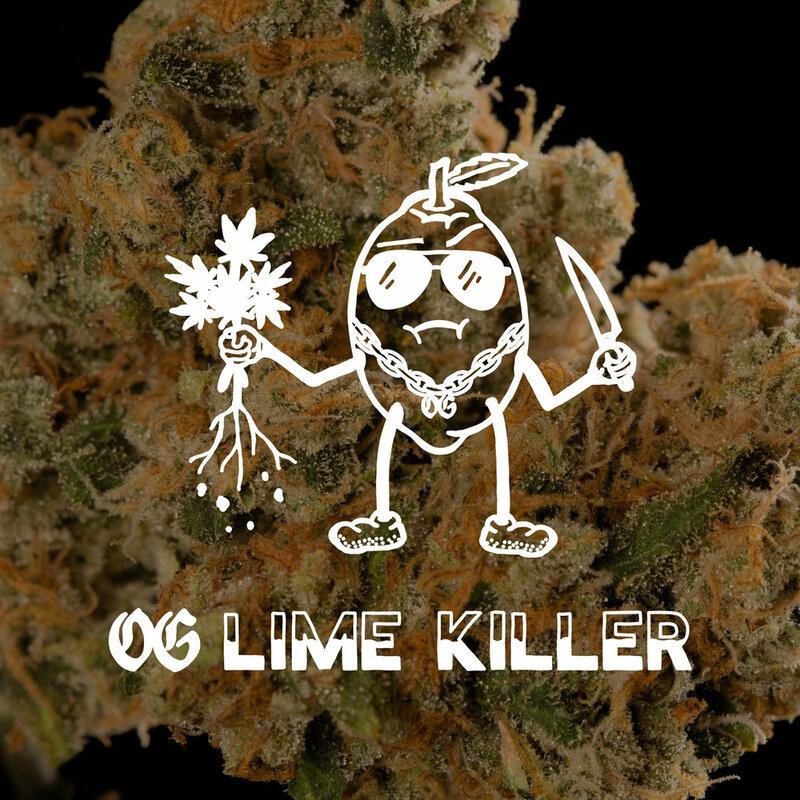 You get OG Lime Killer. A motivational, uplifting, euphoric cerebral buzz with a calming overtone. A sweet, Lemon-lime citrus mix on the inhale. But, a floral earthy exhale. Enjoying this Strain is perfect for all day time activities. - Ghost of Irene/OG x Alien OG/ Star Dawg?